Mage Company isn't the only one teaming up with Ninja Division these days. Blackspindle Ltd and the group out there are coming together to bring you Clacks to North American game tables. 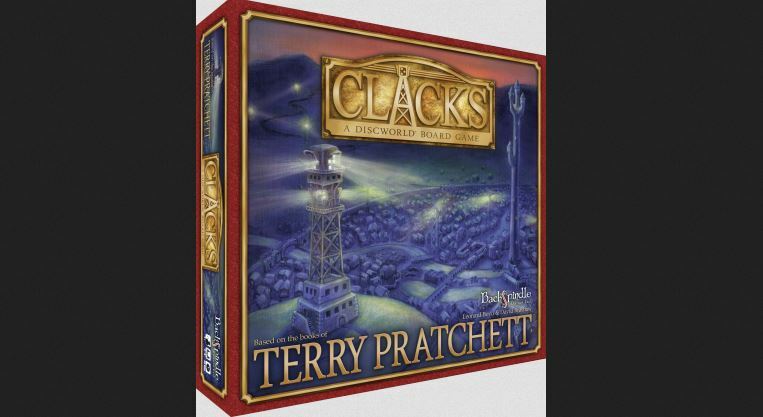 The game is based on the much beloved Discworld series of novels by Sir Terry Pratchett. The game is a puzzle game that's based on the semaphore messaging system found in the various novels. The race is on to become Fastest Clacks Operator. The game includes rules for several variants on play. You can either play teams, or as a fully cooperative game (vs. the Post Office of the world), and an "introductory" version to help you learn the basics quickly and efficiently (just like the Clacks system, itself).